Race Po!nt has a solution that is custom tailored for your online and print publishing needs. RP’s inclusive line of creative services can bridge your dream to reality, so if you are looking for a cover designer, new art and/or custom photography to promote your book, product, and/or business, Race Point can meet your needs. 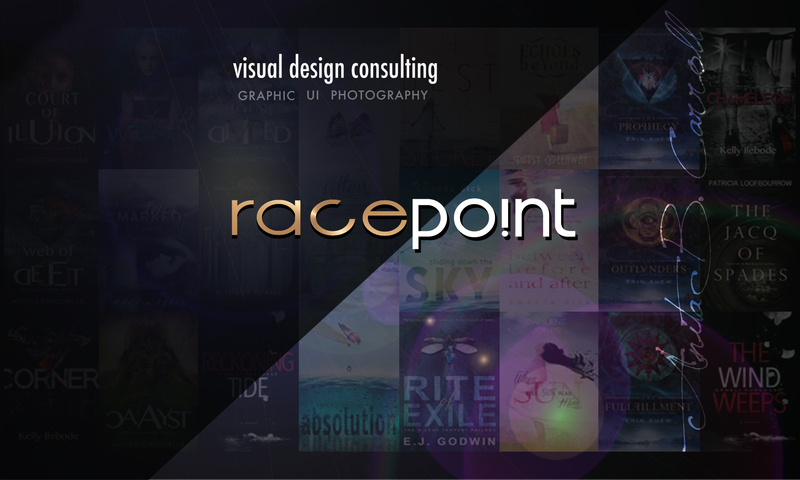 BOOK BRAND DESIGN: Race Po!nt designs for ALL genres including Young Adult, New Adult, Romance, SCI-FI, Paranormal, Fantasy, Dystopian and more! I will work closely with you to ensure your vision become a reality. I am passionate about design and will help YOU make your book a super STAR! Custom Photography and image search to find the perfect photo to represent your story. SWAGS: Marketing promotional items that can be used for Book Signings & other Events. Author Brand & Identity Design to help create a streamlined look throughout your book series.